Men taking soil samples in Santo Tomas, 1931. Image source: University of Wisconsin at Milwaukee Digital Library. The photograph above was taken by the photographer Robert Larimore Pendleton in April 1931. It has been downloaded from the Digital Library of the University of Wisconsin at Milwaukee, where it is made available for non-commercial and educational use. It was originally given the caption/title “Philippines, group of men collect soil surveys in Batangas province.” In the photographer's note, it was stated that the picture was taken while the Makiling soil survey was going on; and from this it can be deduced that the place where the survey was being undertaken was the town of Santo Tomas, the Province of Batangas’ northernmost town and closest to Mount Makiling. The picture has been processed using graphics editing software to improve quality. Its original can be found here. 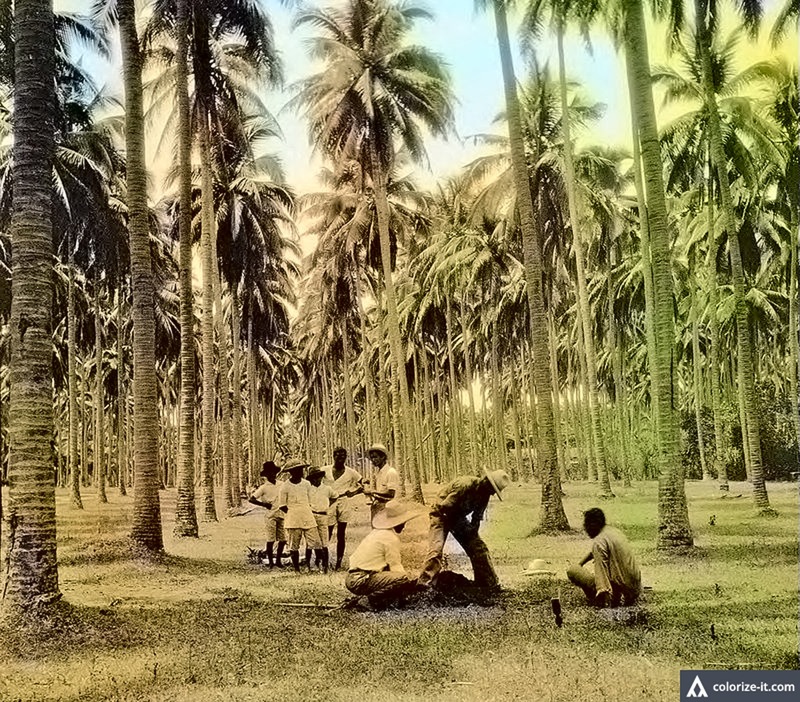 Below is a colorized version of the same photograph courtesy of Algorithmia. Colorized version of the top picture courtesy of Algorithmia.